That’s the premise of this 5-season series. 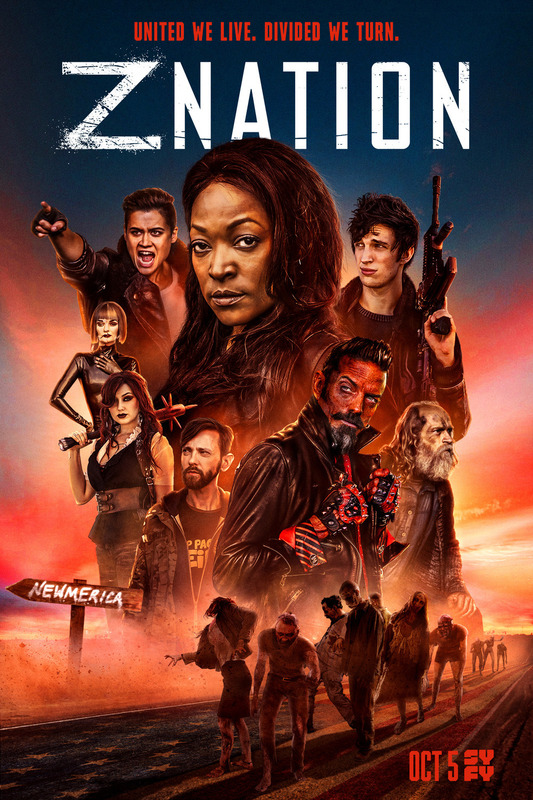 At first I thought, “Not another zombie show!” but it grew on me because of its humour, its clever ideas and the fact that it was able to reinvent itself season after season. Hell, it tackled every zombie cliché, and sometimes it was boring or stupid, often repetitive, but the producers had the sense to give it mercy before it becomes worse. The fact that the series is a gross comedy doesn’t prevent it from touching serious subjects. It is particularly the case in the fifth and last season which is more political. The series talks about Native American rights and the zombies (who have evolved an intermediary stage where they still have cognitive and language abilities before becoming murderous brutes) are an allegory pleading against prejudice and discrimination (racial, sexual, religious, etc.). We must accept the difference in other people, whatever they are. The series was relatively well received (rating of 6.7 on IMDb and if the first season was dislike by critics on Rotten Tomatoes with a rating of 45%, the over-all audience score is nevertheless 77%). It aired on SyFy in the U.S. and on Space in Canada, but can still be viewed on Dvds and on Netflix. A prequel, titled Black Summer, will be airing on Netflix in early 2019. Over all it is a nice, funny entertainment, that changes us from The Walking Dead. I have always been partial to post-apocalyptic stories, so I guess it is binge-watching worthy.